Stock certificates, also known as certificate of stock, are documents that certifies a form of ownership of shares in a corporation. 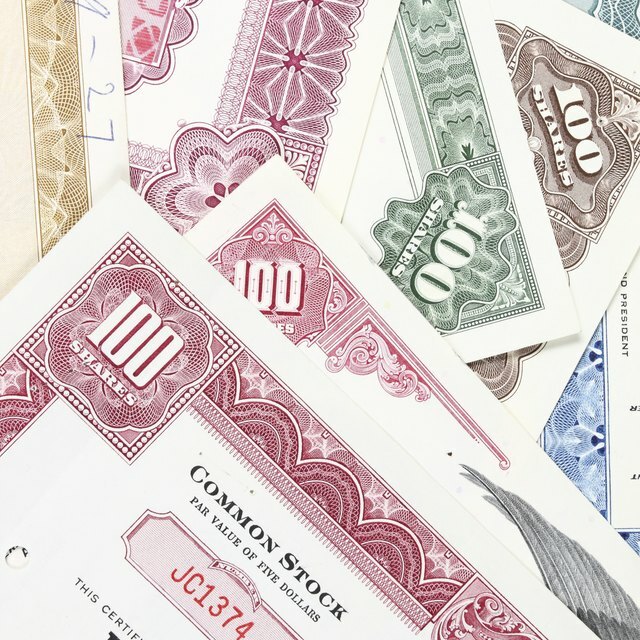 Although the physical share certificates themselves are becoming more uncommon, the certificates often have forms, usually on the back, which the shareholder must complete to transfer the stock to a new brokerage firm. It is often a straightforward process. Locate the stock certificate you need to complete. Research how your name appears on your account at the firm, which will be receiving the stock. Make sure that your name is correct. If not, then contact the firm or your broker to make the correction. Fill in the number of shares that you hold in the appropriate section of the form on the back of the certificate. Enter the name of the receiving brokerage firm in the appropriate section. Be certain that the brokerage name is correct. If the form requires the street address of the receiving party, enter that information. Sign and date the from where in the space provided. Double check the information on the form to make sure that it is correct. For your own knowledge, you should calculate the current price of your stock before making the transfer, so that you will have a record for your own files. Simply refer to the closing stock price for that day online or in a reputable financial newspaper, such as the Wall Street Journal.